August 13, 2018 08:00 AM EDT-Everbridge, Inc. (NASDAQ: EVBG), the global leader in critical event management and enterprise safety applications to help keep people safe and businesses running, today announced that Southern Glazer’s Wine & Spirits has selected Everbridge’s Critical Event Management (CEM) platform, including Safety Connection, to support employee safety and business resiliency during critical events. Southern Glazer’s Wine & Spirits is North America’s largest wine and spirits distribution company with operations in 44 U.S. states, the District of Columbia, Canada and the Caribbean. The company has over 20,000 employees, including thousands of delivery drivers, salespeople, and travelers who work remotely or at over 250 company locations nationwide. Southern Glazer’s mission is to be the world’s pre-eminent selling, logistics, and data insights company for alcoholic beverages. Each day, the company strives to exceed all expectations of its trading partners by delivering world-class service and results in every facet of its business. To achieve this requires close partnerships with proven, world-class solution providers – which is why Southern Glazer’s chose Everbridge to be the critical event management platform for its enterprise Business Continuity program. In the face of weather emergencies and other potential incidents that could impact sales, distribution, or warehouse operations, the company is committed to ensuring employee safety and maintaining delivery continuity to all customers and partners. Southern Glazer’s selected Everbridge as a partner to help uphold this commitment by providing comprehensive threat response and critical communications capabilities. With Safety Connection, Southern Glazer’s can locate remote employees who are in the proximity of a threat, confirm their safety, send them instructions, and gain field-sourced situational intelligence. The Everbridge platform also ensures important information can be delivered to employees using several different methods, such as SMS, voice, email, digital signage, alert systems, and even sirens. Multiple methods of delivery help to ensure reliable communication, even when certain modes may be unavailable due to the severity of the critical event. Everbridge has multiple layers of redundancy built-in to ensure rapid and reliable delivery, giving organizations near real-time verification, over numerous devices and contact paths. 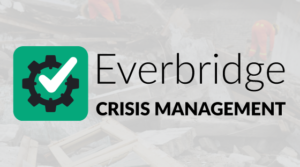 Everbridge, Inc. (NASDAQ: EVBG) is a global software company that provides enterprise software applications that automate and accelerate organizations’ operational response to critical events in order to keep people safe and businesses running. 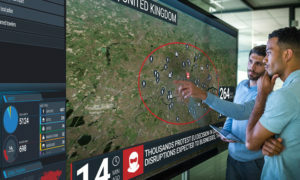 During public safety threats such as active shooter situations, terrorist attacks or severe weather conditions, as well as critical business events including IT outages, cyber-attacks or other incidents such as product recalls or supply-chain interruptions, over 4,000 global customers rely on the company’s Critical Event Management Platform to quickly and reliably aggregate and assess threat data, locate people at risk and responders able to assist, automate the execution of pre-defined communications processes through the secure delivery to over 100 different communication devices, and track progress on executing response plans. 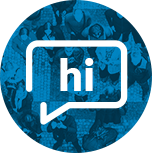 The company’s platform sent over 2 billion messages in 2017 and offers the ability to reach over 500 million people in more than 200 countries and territories, including the entire mobile populations on a country-wide scale in Sweden, the Netherlands, the Bahamas, Singapore, Greece, Cambodia, and a number of the largest states in India. The company’s critical communications and enterprise safety applications include Mass Notification, Incident Management, Safety Connection™, IT Alerting, Visual Command Center®, Crisis Commander®, Community Engagement™ and Secure Messaging. Everbridge serves 9 of the 10 largest U.S. cities, 8 of the 10 largest U.S.-based investment banks, all 25 of the 25 busiest North American airports, six of the 10 largest global consulting firms, six of the 10 largest global auto makers, all four of the largest global accounting firms, four of the 10 largest U.S.-based health care providers and four of the 10 largest U.S.-based health insurers. Everbridge is based in Boston and Los Angeles with additional offices in Lansing, San Francisco, Beijing, Kolkata, London, Oslo and Stockholm. For more information, visit www.everbridge.com, read the company blog, and follow on Twitter and Facebook.